Rosebud Challenge - Can you become a Sim-Millionaire? LOL...it's hard enough to begin with. Anyway, I may have messed up already. I bought her residential lot in the Business World not realizing that you can't have a shop on the lot when it is set as residential. So it is okay to move her from the original lot? Test your building skills Mini Micro Builds: All Sims Games Creating big things in small spaces. Love It? Or List It? There have been a few additions to the game since these were first posted. Does anyone have questions or suggestions for possible updates to the challenge? So I have my very first episode up on YouTube I have had a blast so far doing this challenge. My sims name is Cady Connor. So this will be her journey to get the challenge completed. Take note I have never ever played any of my sims games in a normal lifespan. 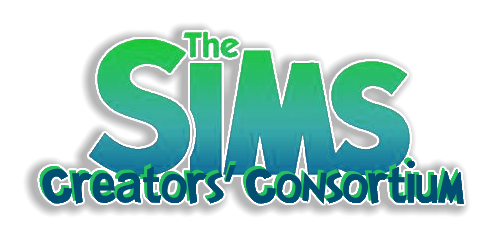 I have always played in Epic lifespan in sims 3 and long lifespan in sims 4 and with an aging mod in sims 4 that I made to give them more days before they age up. 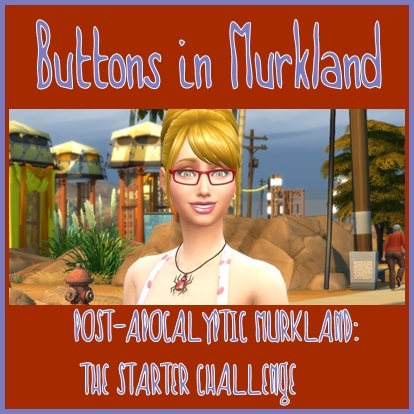 (which I had to remove my mod to play this challenge) So wish me luck in getting everything done before my sims die off on me. . I hope they don't do anything random that will cause them to die even earlier. Thank You, EQ for this challenge! Here is the link if you all would like to watch my video! I wonder if the coffins and be put in the sim's inventory? Like a tent? If so then possibly the vampire sim could sleep indoors(library, etc) during the day time before venturing out into the night to collect things. I think they can sleep on benches and such as humans. Maybe a "safe house" could be created and uploaded to place on the home lot for sunlight protection. Or a "blue print" with instructions and an "allowance" could be put in your guidelines. Or maybe this "safe house" was passed down through the years from generation to generation for just such an emergencies. A safe house is something I had not considered. Wonder if a tent would provide much protection? Oooo.... or a "cellar" (basement) would work. Like there was already an underground space with a bench on the lot. That should keep them from trying to sleep outside. Or start as regular Sim with one if the first goals to seek out and be turned by one of the Vampires in the game. Yea......a cellar....or a crypt. Maybe if you start as a vampire then you "inherit" the bare crypt. Would it include the lowest quality coffin??? If you start as a human then maybe you have to have an enclosed space before being turned?? I think it would be fair because the human is wanting to be turned and the vampire had no choice. I like Crypt even better! Still brewing ideas. Now I am itching to get Tori and Greg started! Can't we just get the pack now? 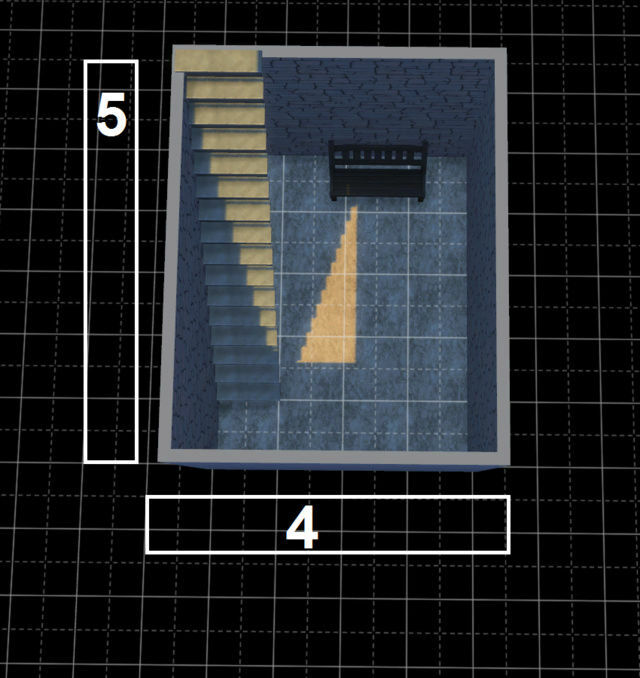 A 5x4 basement with basic (cheapest) stairs and base game walls/floors. I added a base game bench for naps. The room is under 1500 Simoleons. This particular Example is the mid height walls. Single height walls allows for extra space at the foot of the stairs. Is it Vampire time yet? @EuphorialQueen I was wanting to start my sims on an empty lot in Newcrest and them move them to Forgotten Hollow once they could afford the cheapest lot there. I see in the rules you have to stay on your original lot. Should I just wait until I get the vampire game pack and start in Forgotten Hollow? With the addition of special sounds like San Myshuno and Forbidden Hollow I would say the old rules no longer apply. I believe there is one empty lot in Forbidden Hollow plus anot her 'Vampire proof' house full of garlic wreaths and such. You have my permission to use whichever lot you choose. I know you ..... and now I follow your example! Subject: Re: Rosebud Challenge - Can you become a Sim-Millionaire?